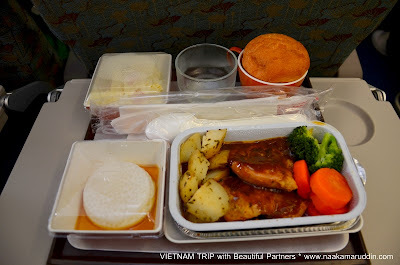 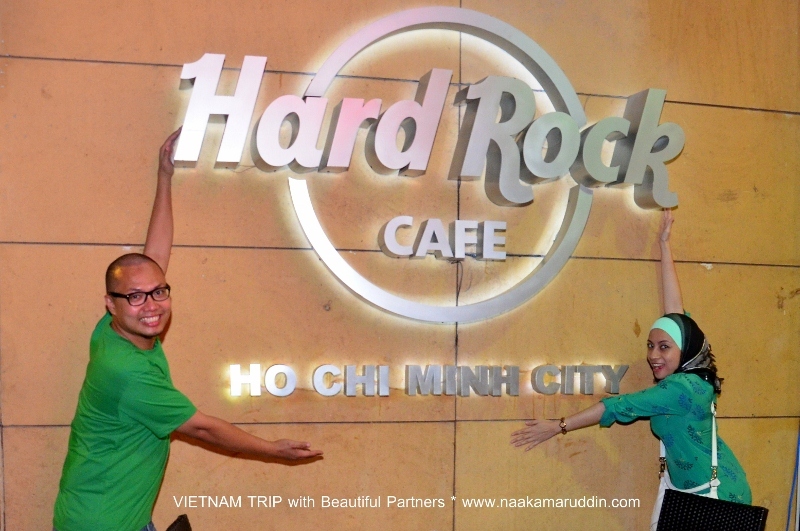 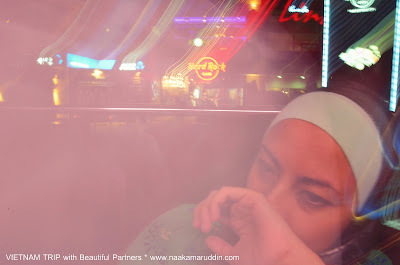 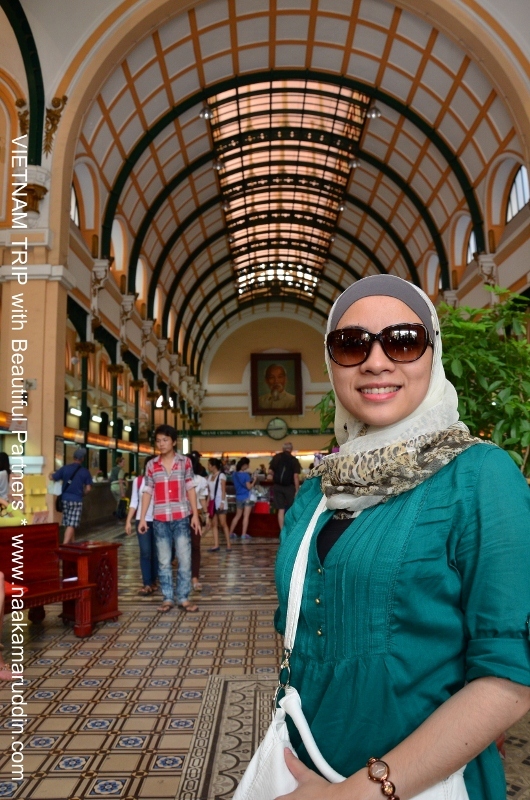 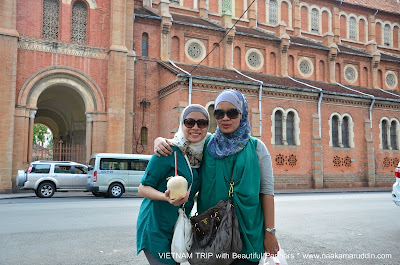 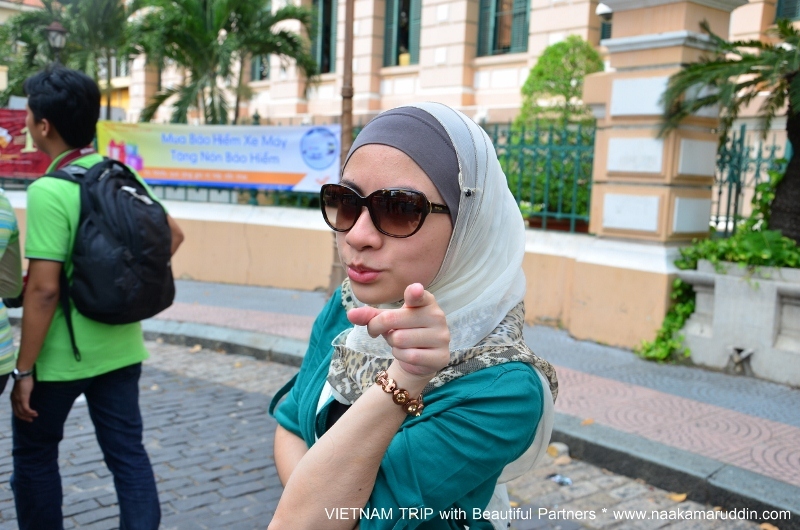 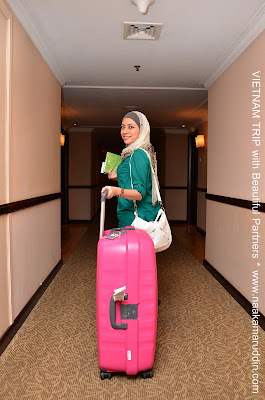 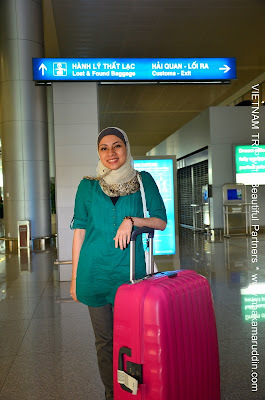 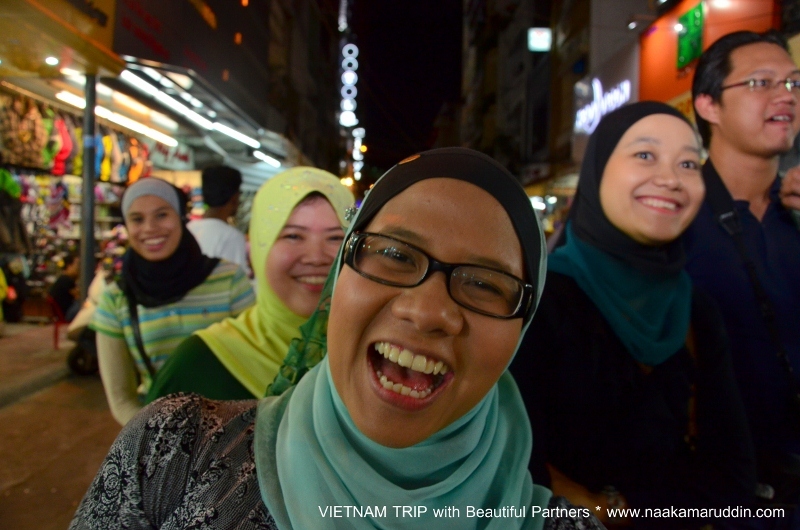 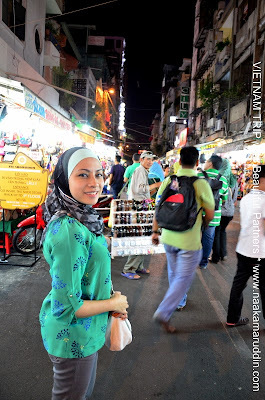 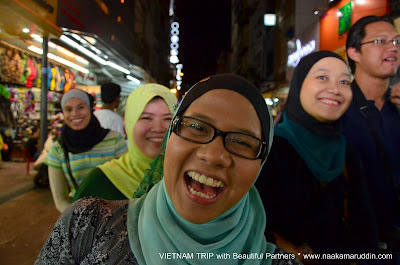 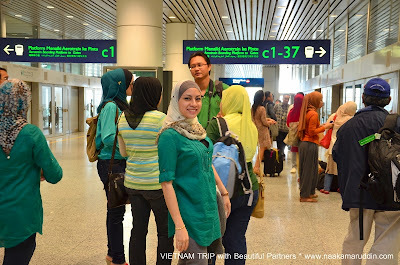 Vietnam Trip Day 1 with Naa Kamaruddin! 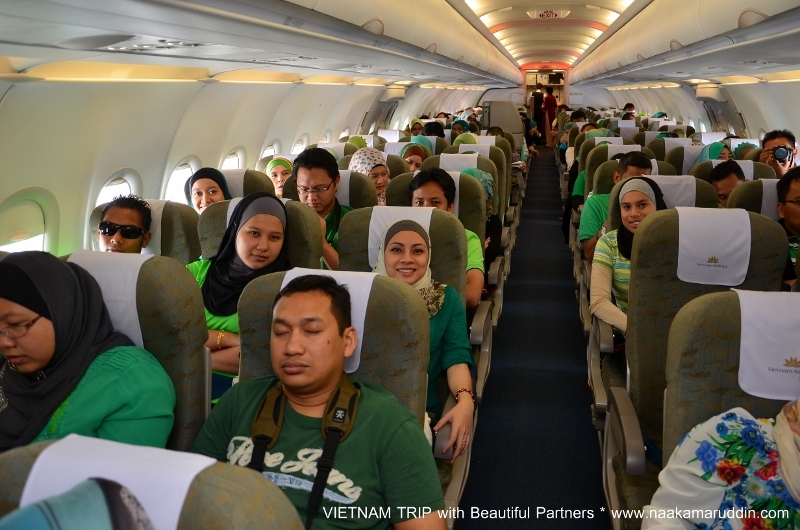 this time, Naa berjaya bawak business partners almost half of the bus to Vietnam. 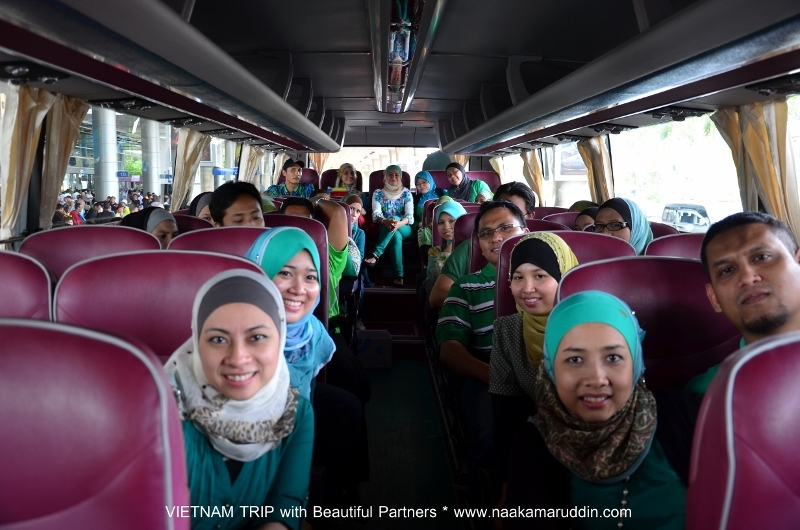 Altogether there were 3 buses for our Green Leaders Group lead by Hanis Haizi. 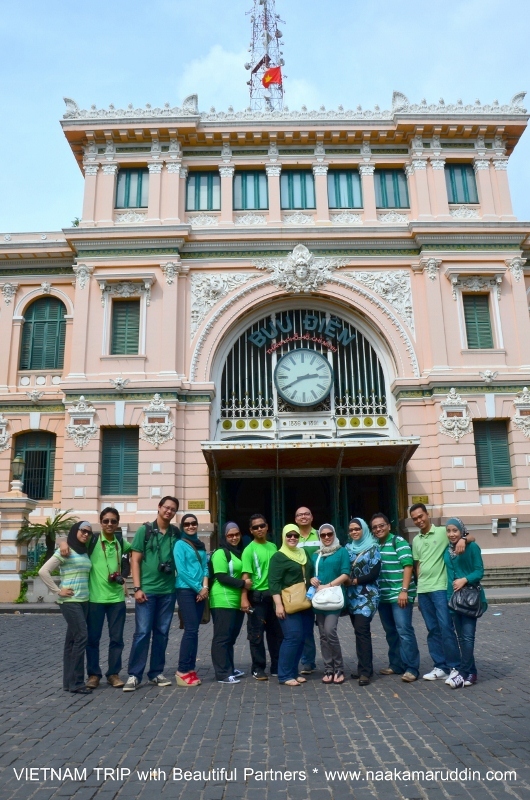 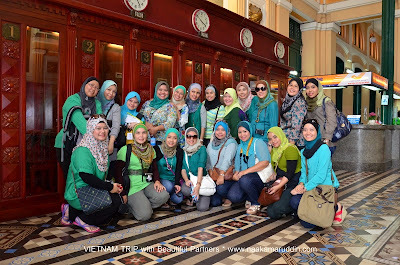 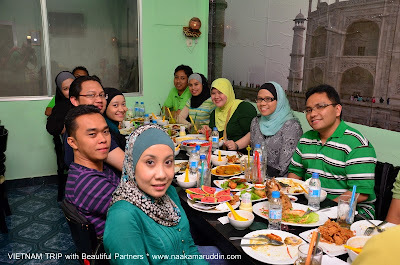 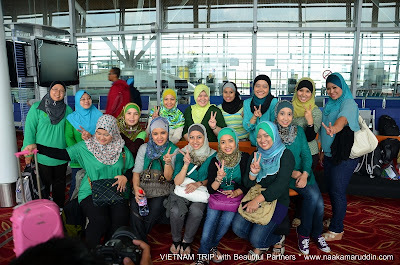 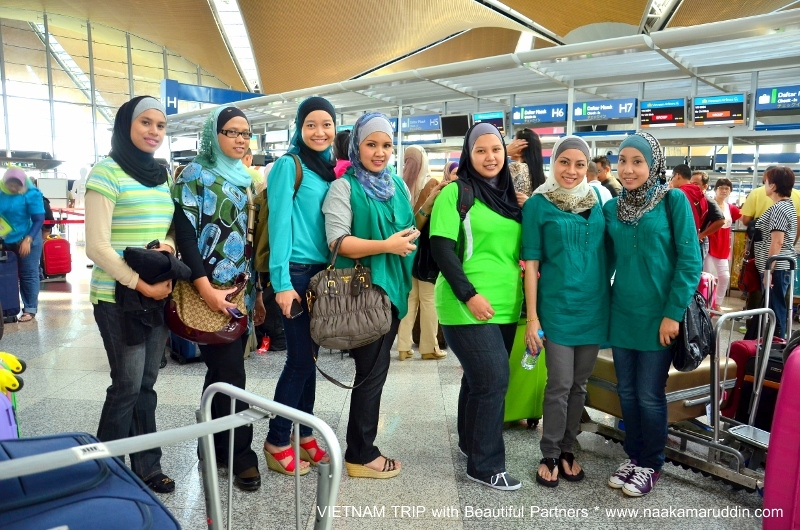 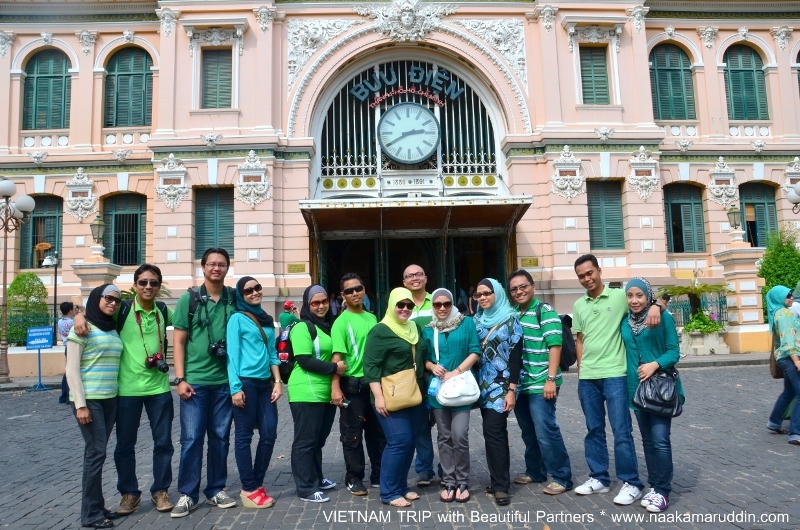 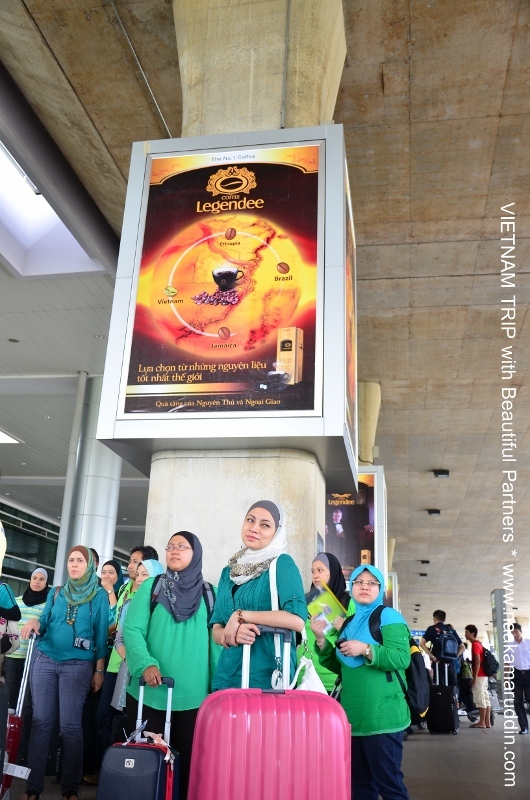 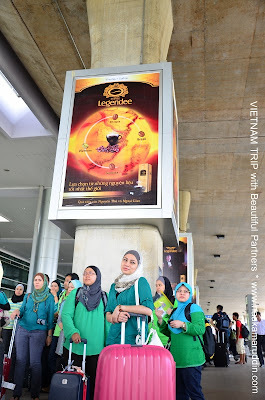 Our GREEN TEAM paling ramai di Vietnam! 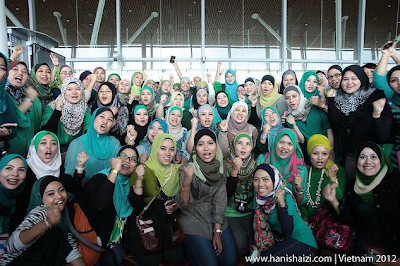 'gelombang hijau' bak kata CDM Kak Ana. Part of my 'rombongan cik kiah'..cik juju missing in action time ni. 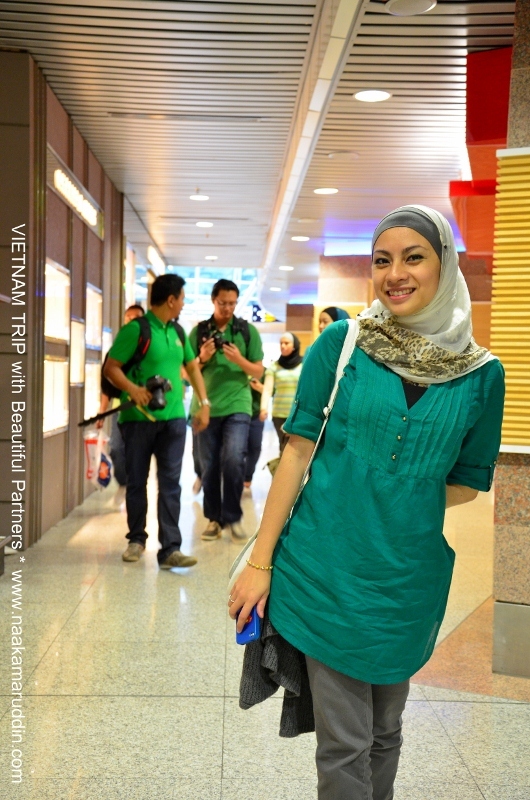 While waiting for our eurotrain! Me..as the bus leader for my Beautiful Circles team! In the flight..full with Green Team! Outside the airport, a tour guide Mr Kong was waiting for us..the "A2" group! 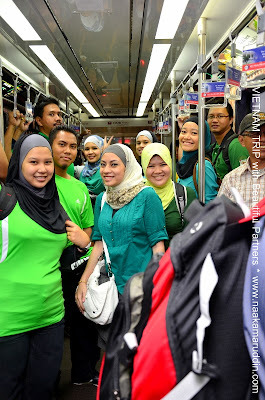 here's the picture of A2 bus! 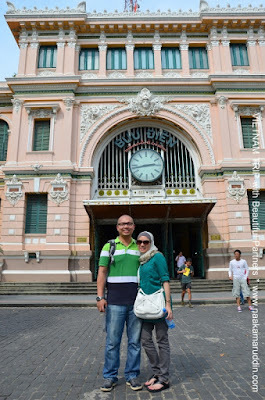 at our FIRST STOP, the post office! 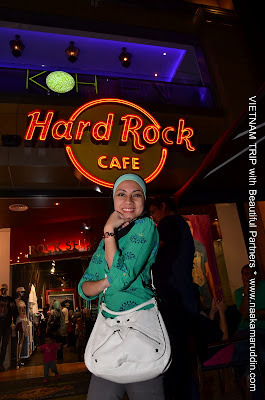 with my one and only mentor kesayangan..Hanis Haizi! 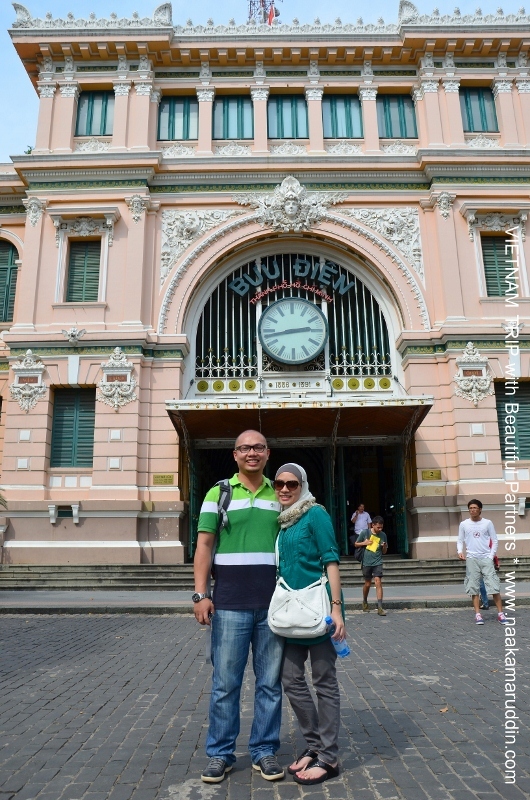 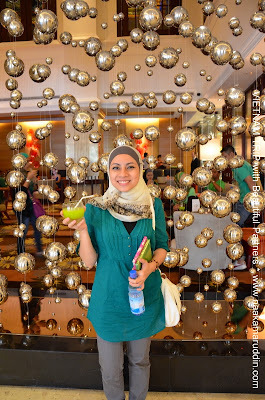 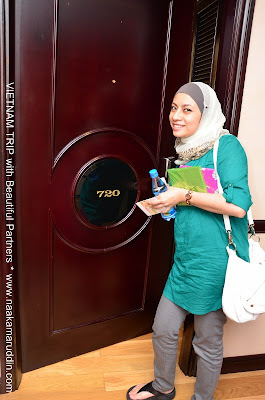 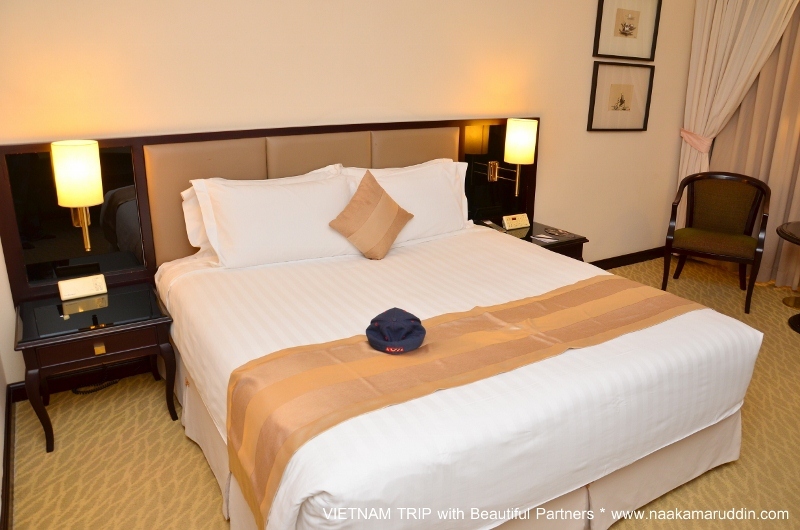 we went straight to Equatorial Hotel in Ho Chi Minh city! and also Free sponsored business car! the happy face after receiving the welcome drink! 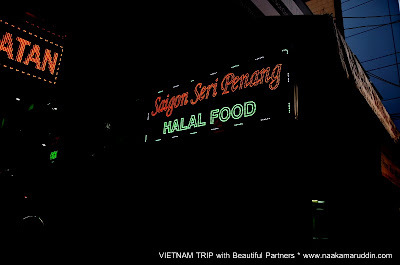 ..walking distance only from our hotel..there's a Halal restaurant, Saigon Seri Penang. 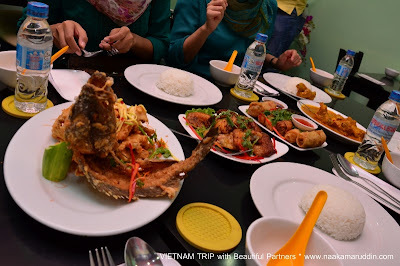 yummmy food for all of us!! 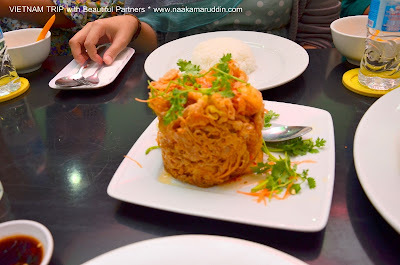 mmg sgt sedap semua..n portion dia hidang pon banyak! Next stop after the dinner was.. 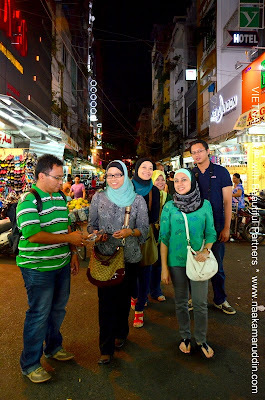 It is one of the famous and favorite spot among the tourist..
Let's check out the night market here..
muka budak2 riang nak shopping! Another group picture of my Beautiful Circles team! 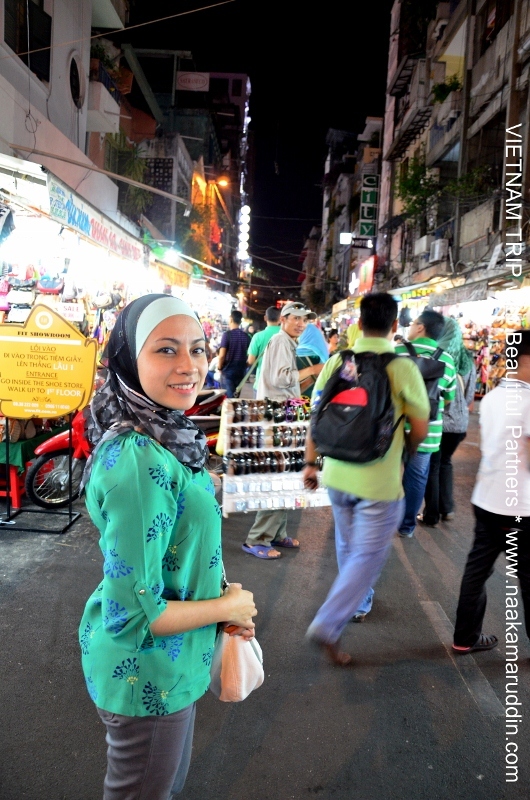 it was time to wrap up the day! 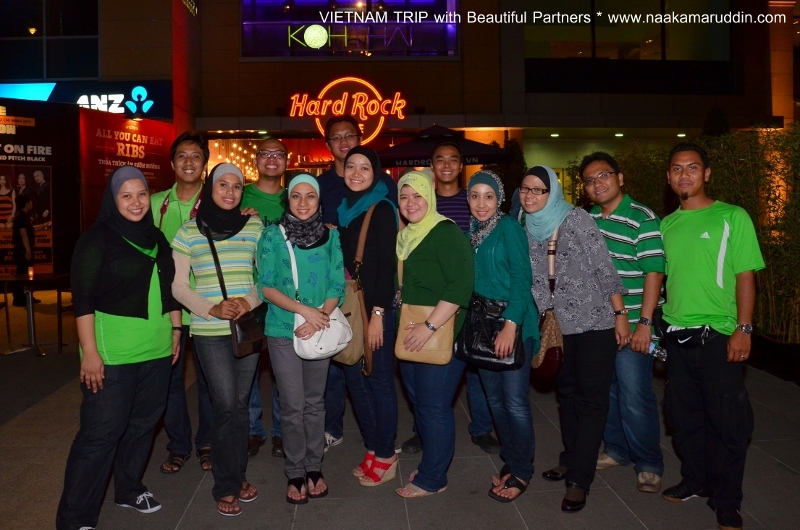 We had such a great DAY 1 together! STAY TUNE for Day 2 updates on my next post..